Facebook has now blocked Cambridge Analytica while it investigated claims the London-based firm did not, as promised, delete data that was allegedly obtained using methods that were in violation of Facebook’s policies. An investigation by the Observer and New York Times found Global Science Research (GSR), which is owned by Cambridge University academic Aleksandr Kogan, collected information on up to 50 million people through a personality-testing app. Hundreds of thousands gave permission for their data to be collected for academic use by the app, but it also collected information about their Facebook friends, reports found. The Information Commissioner’s Officer said on Saturday it would investigate the potential breach after whistleblower Christopher Wylie revealed Cambridge Analytica had used personal information to build a system that profiled US voters to target them with political ads. The paper says documents show that by late 2015, Facebook had discovered that information had been gathered on an unprecedented scale that affected 50 million people. According to the New York Times, some of the information could still be found online. It said journalists had viewed some of the raw data which was collected through an app called thisisyourdigitallife. The app was developed by Cambridge University professor Aleksandr Kogan through his company GSR in collaboration with Cambridge Analytica. Hundreds of thousands of users were paid to take a personality test and agreed to have their data collected for academic use. But as well as the data, the app also reportedly collected the information of their Facebook friends, allowing a massive data bank to be built. In a blog post, the social network said Dr Kogan had violated its rules by passing on user data to a third party, and that both he and Cambridge Analytica had failed to delete the information despite providing assurances they had done so. Following the report, Mark Zuckerberg has been asked to give evidence at a Commons committee examining allegations of unauthorised sharing of Facebook user data, an MP has said. Collins said Alexander Nix, the chief executive of Cambridge Analytica, had “deliberately mislead” the DCMS committee by denying his company had received information from data collection firm Global Science Research (GSR). European Union officials said they would probe Facebook’s handling of user data on Monday. “Allegations of misuse of Facebook user data is an unacceptable violation of our citizens’ privacy rights. The European Parliament will investigate fully, calling digital platforms to account,” the parliament’s president, Antonio Tajani, said on his official Twitter account. Leave.EU communications director Andy Wigmore told The Observer last year that Leave.EU worked with Cambridge Analytica (CA) on an informal basis on the project. 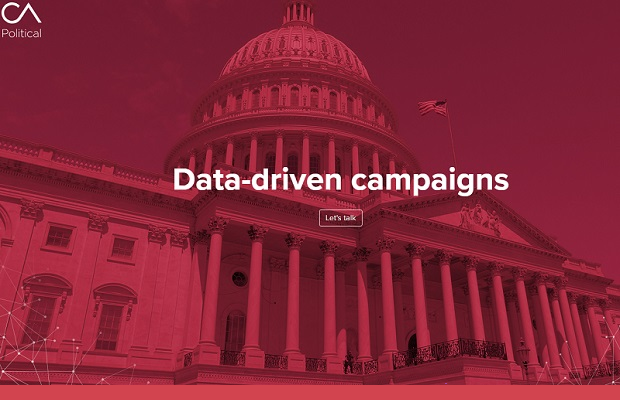 Cambridge Analytica has denied it worked for the campaign, however. Now Leave.EU is the subject of a complaint over whether it broke the rules on political donations. After reports of Cambridge Analytica using Facebook’s user information came to light, people began to urge others to either #DeleteFacebook or #BoycottFacebook in response. The #DeleteFacebook hashtag appeared to gain traction after one Twitter user quoted a BBC Stories tweet from 2017 – an interview with Theresa Wong about Cambridge Analytica, originally broadcast on BBC Two in the series Secrets of Silicon Valley. Four quotes were taken from the interview to infer Facebook’s role in Donald Trump’s 2016 US election victory, such as “Facebook was our hands-on partner,” and “Without Facebook we wouldn’t have won,” coupled with the call to #DeleteFacebook in response.